Epson are one of the best-established and most respected names in printing and the current range of Epson printers only serves to enhance that reputation. Featuring the latest technology and characteristically smart design our Epson printers offer solutions for a wide a wide variety users, whether you need powerful multi-purpose functionality and high resolution printing or simply want a straightforward, easy to use printer for occasional home use. 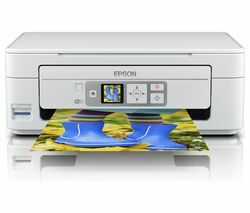 Epson offer a number of affordable models that deliver excellent performance at the right price. The Epson Expression Home XP-225 incorporates all-in-one functionality (scanner and copier included), wireless connectivity and rapid 26 pages per minute printing speeds, all of which belies an incredibly low price. There are also several models that perfectly suit office use, delivering high quality printing alongside a variety of handy additional functions. 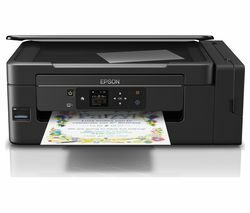 The Epson Workforce WF-7620 is an excellent network printer that’s Google Cloud print and Apple AirPrint-compatible. It’s also versatile enough to take care of all your printing requirements and even prints in A3 – ideal for all sorts of office printing needs including brochures and presentations. Every Epson printer in our extensive range lives up to the brand’s reputation for excellent quality at affordable prices and you’re sure to find a model that suits your needs perfectly. Check out our full range of printers from great brands such as Canon , Brother, HP and many more.